Thomson Cruises which is a UK-based cruise line is to expand its fleet with Royal Caribbean Splendour of the Seas. Royal Caribbean are to sell the cruise ship to Thomson Cruises parent company TUI Cruises. The agreement made between the two companies will have the vessel transferred to TUI in the second quarter of 2016. The ship will replace Thomson Cruises, Island Escape which is currently operated by sister company Island Cruises. Splendour of the Seas has been a popular choice for cruisers cruises ever since it began sailing in 1996. Royal Caribbean already hold the record for having the largest cruise ship in the world and some of the most innovative. it’s the perfect time to let the 69,130 ton vessel go as the cruise line shifts towards larger and more modern ships. 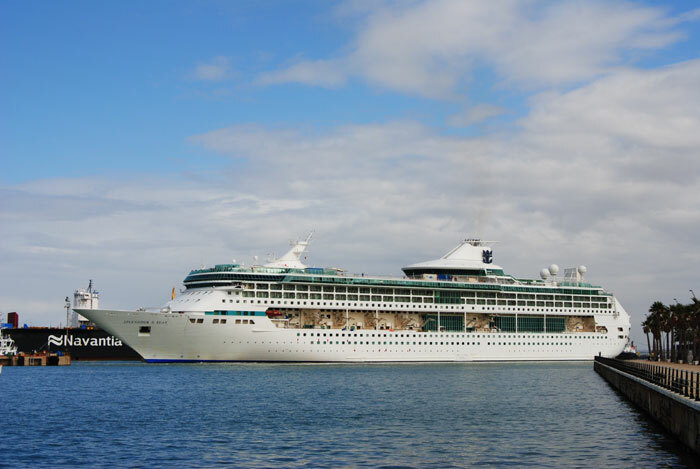 Royal Caribbean has stated that “Splendour of the Seas will complete all scheduled open deployment, and no sailings will be altered or disrupted due to the sale.” The ship is currently sailing 7 Night Argentina & Uruguay Cruise’s from Sao Paulo, Brazil. The ships final voyage will begin on April 4th 2016 and all the officers, staff and crew are to be transferred to other vessel in the fleet. Splendour of the Seas was built by Chantier’s de L’Atlantique which is now known as STX France, in St. Nazaire, France. It’s the same shipyard that’s currently constructing Harmony of the Seas and the fourth oasis class ship for Royal Caribbean. The ship carries 1,830 guests (double occupancy) and 760 crew. Thomson Cruises are expected to reveal plans for the new addition over the coming months including the ships new itinerary.